EVF Performance is your CrossFit home away from home while visiting New York! Let us help you enjoy an awesome workout experience while you are here. At EVF Performance, we strive to be the most welcoming CrossFit on the planet. With every newcomer, we exchange ideas, share stories and enjoy the common bond of CrossFit! Enjoy our beautiful training facilities, experienced coaches and awesome programming at EVF Performance. Experienced CrossFitters only, please. Not ready for CrossFit? 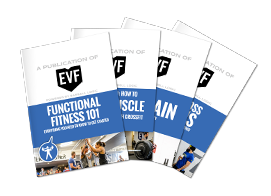 Learn more about our EVF 360 Program, open to athletes of all levels. Simply fill out the form and someone from our team will call you shortly to discuss the best time for your visit. We are also happy to help answer any questions you might have about training at EVF Performance. We look forward to meeting you!